But, friends, can’t we all just get along? I mean, have to believe that we can find common ground here. Can we celebrate our mutual appreciation of fall and maybe even celebrate pumpkins just for their own sake? Maybe, just maybe, you could see this as an opportunity to call a truce of sorts. An opportunity to just agree to disagree about pumpkin flavored things. And perhaps instead, we could see this as an opportunity to agree that every season has things about it we like and things about it we don’t like. In a large bowl, sift together flour, sugar, salt, baking and spices. In another bowl whisk the eggs with the pumpkin puree and vanilla. Pour the pumpkin mixture into the dry ingredients and stir just until ingredients are mixed together. It should have a crumbly consistency. Dust flour over a clean surface and onto your hands before turning mixture onto it and kneading gently a few times. Place on a greased or parchment lined baking sheet and then form into a log approximately 12 inches long and 6 inches wide. The loaf should be fairly flat so only about 2 inches high. Bake for 20-25 minutes or until the center springs back. Remove from oven and cool for 10 minutes. Using a serrated knife cut into 1 inch slices. Reduce oven temp to 300 and then finish baking for another 20 minutes depending on how crispy you like your biscotti. Allow to cool completely before applying the icing. Each season has things we want to celebrate. And each season has things we aren’t thrilled with. Case in point, this is about the time of the year when I am reminded that my nose must be abnormally large and protruding because it seems to always be cold. But I’m able to counter that with using that same nose to inhale the wonderful scents of the season. It’s kind of like life isn’t it? There is rarely a season in our lives when every.single.thing is perfect. Where everything is just right. The good is always tempered by the not so good. And I think that is just how it should be. Because that’s the only way that we can truly appreciate those good things, right? That is how the things we love and want to celebrate stand out from the rest of life. So pumpkin flavor lovers and pumpkin flavor haters, I can’t ask you to join hands with me. And we can’t sit around a campfire together and sing Kumbaya. But, let’s declare that on this day, October 8, 2015, we stand united. 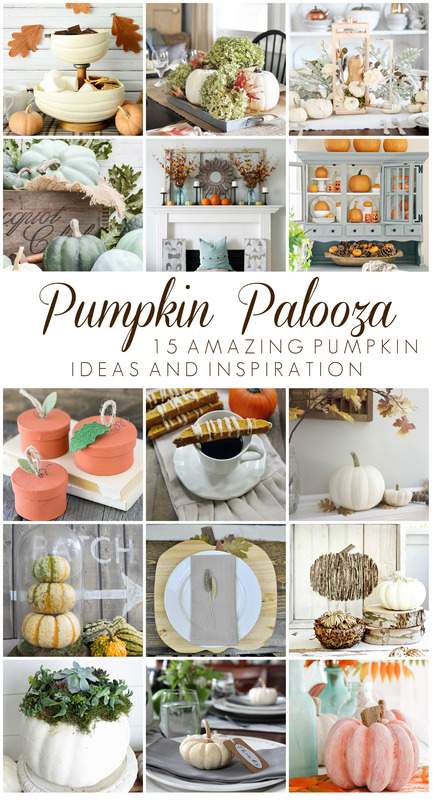 And while we are on the subject of pumpkins, I’m so thrilled to be joining 14 other bloggers and Country Living Magazine this week for a Pumpkin Palooza! 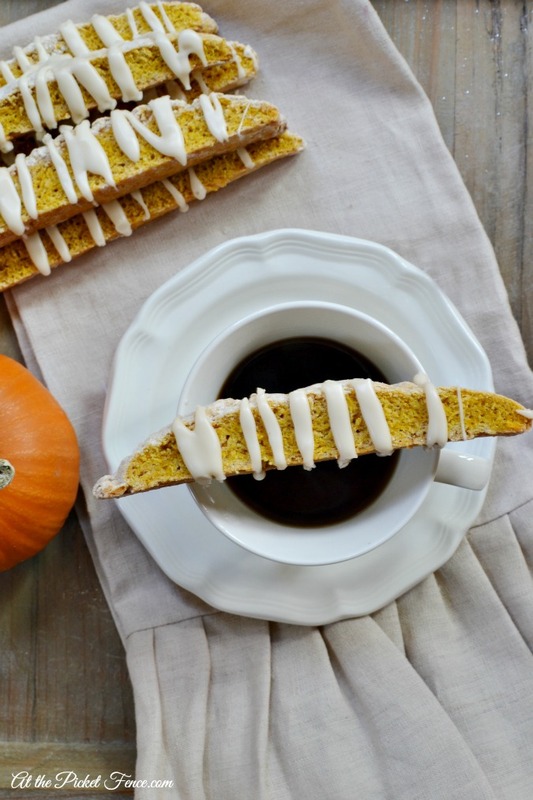 20 Comments on "Pumpkin Pie Biscotti with Apple Cider Icing"
Move over Starbucks, we have At The Picket Fence in the house! This looks so delicious and that icing….everyone needs a bit of frosting! Yum. Now it’s funny but I hate pumpkin pie but I do enjoy other pumpkin things, maybe because the flavor is less intense in lattes, cookies etc? These look so good! I love anything pumpkin and can hardly contain myself until the pumpkin products come out. 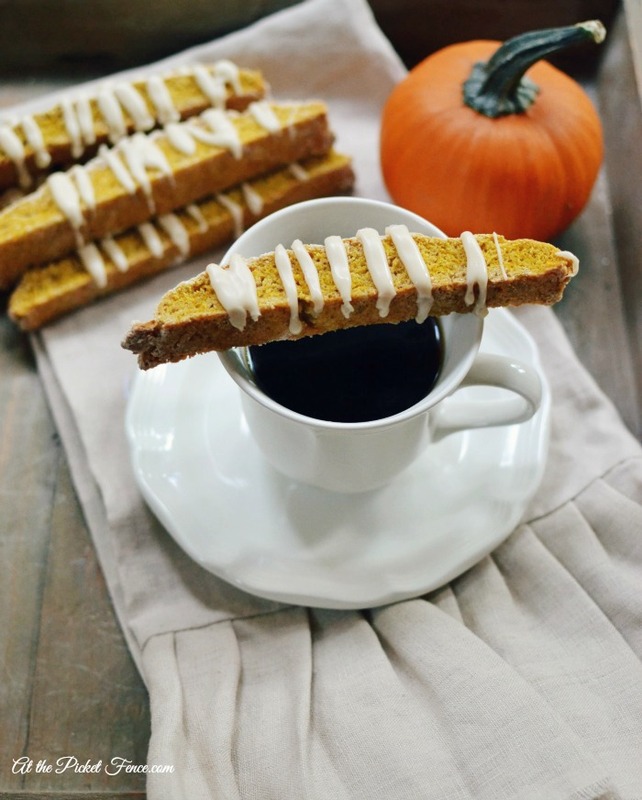 If you really want a fix on pumpkin products – Trader Joe’s has amazing products. Love their pumpkin spice coffee, yum. Their pumpkins are very reasonable and unusual shapes. Sometime here in So CA it is hard to find great different shape and color pumpkins. But, I am finding due to our very hot weather and drought the fresh pumpkins are rotting quick;y.
Pumpkin lover here, all the way! And I must try this recipe, it looks delicious! Thanks for sharing!!! I can’t get enough of pumpkin. Coffee, lattes, tea, cookies, pie and candles, it’s all great! Thank you for sharing this recipe, it sounds delicious! 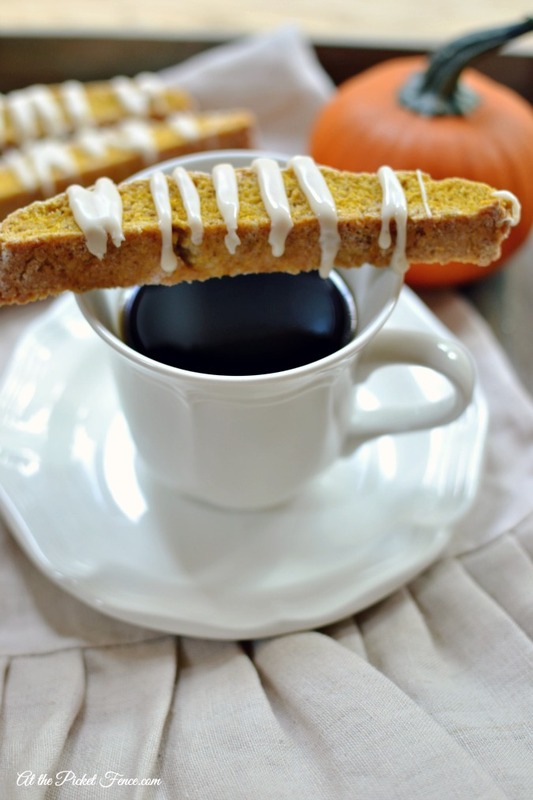 I love biscotti and pumpkin too…so this is certainly a great combination of food and treats I love! I love pumpkin, not to mention your picture looks amazing. I am sure that it doesn’t do justice, as it must be even more tasty. Bookmarked, as I want to try this later on this month.